If you are a diva who loves to turn heads wherever you go and this delightful drape is a must have item for your closet. 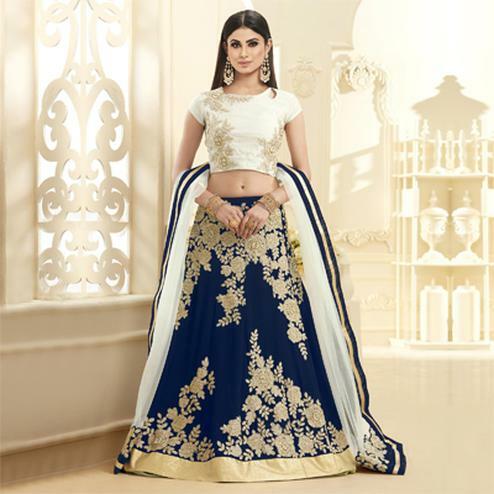 Keep ahead in fashion with this dark blue colored silk lehenga choli. The ethnic zari embroidery within the apparel adds a sign of beauty statement with a look. Available with unstitched silk choli fabric and chiffon dupatta with lace border. Perfect for traditional functions, festivals, wedding functions or engagement ceremonies. Pair it with traditional accessories to make your look more beautiful. 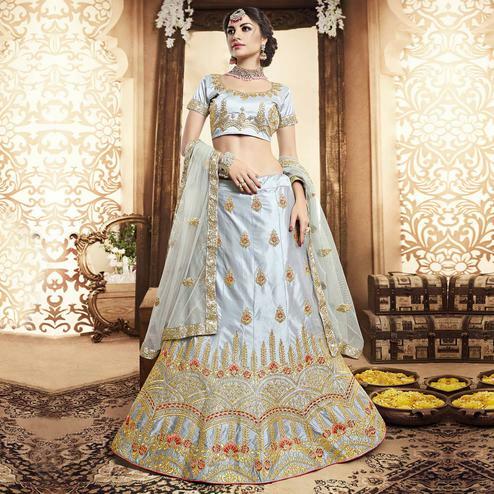 Buy this designer lehenga and earn lots of compliments from onlookers.